Fergie's national anthem performance did not go down well. Fergie put her own spin on the US national anthem and not everyone appreciated it. 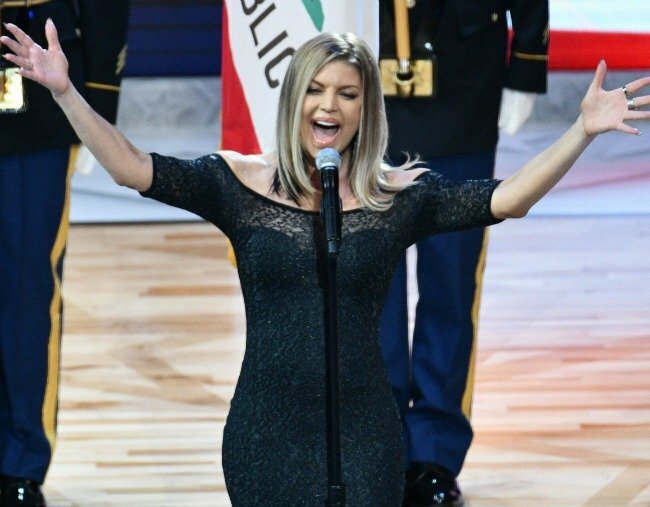 Fergie’s decision to put her own spin on the US national anthem at the NBA All-Star match on Sunday hasn’t gone down all too well with sports fans. The singer was given the no-doubt daunting task of performing “The Star-Spangled Banner” at one of the biggest matches of basketball calendar. Faced with singing a song thousands of others have before, Fergie decided to try something different – a choice she might be regretting right now. The former Blacked Eyed Peas member sang the anthem at half-tempo, emphasising almost every syllable and adding plenty of embellishments. And while we’re not going to share some of the meaner Tweets the Twittersphere had to offer post-performance, let’s just say very few people seemed to enjoy it. Meanwhile, it didn’t seem to be any easier to listen to in person, with players and celebrities like Jimmy Kimmel unable to keep from smirking. What do you think? Should Fergie have just stuck to a more traditional rendition?